These essays illustrate the various ways in which women fall short of being vested with the rights and privileges that would define them as fully enfranchised citizens. They offer an in-depth examination of national legislation on personal status, penal law, labor law, nationality, and social security law. Others include indicators such as female education and employment, and many comment on the types of mobilization and activism engaged in by Middle Eastern women themselves to press for an expansion of their citizenship rights. 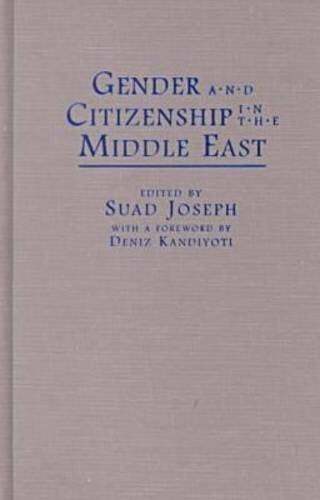 Along with its sister volume, Citizenship and State in the Middle East: Applications and Approaches, also by Syracuse University Press, this book represents a pioneering approach to the Middle East from a citizenship perspective. The contributors raise a number of important and controversial issues that merit serious consideration.